If you thought the feature phones were going extinct, then you were wrong. While these particular mobile phones rarely make the news, they are still accounting for a huge chunk of the total phones sales. And the fact that in 2016 35 million of those were shipped under the Nokia brand is all the proof you need. Last December HMD acquired the rights for Nokia phones and has already launched a few new models, such as the Nokia 150. 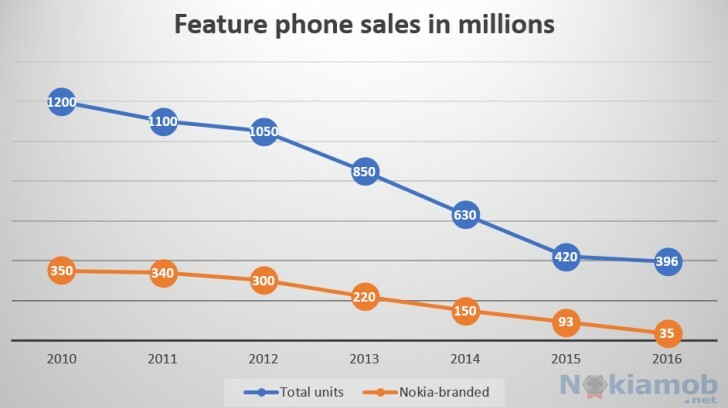 Microsoft and HMD combined have managed to ship over 35 million Nokia feature phones in 2016, so this segment and alive and kicking, although it's a huge drop from the 90 million shipped in 2015. 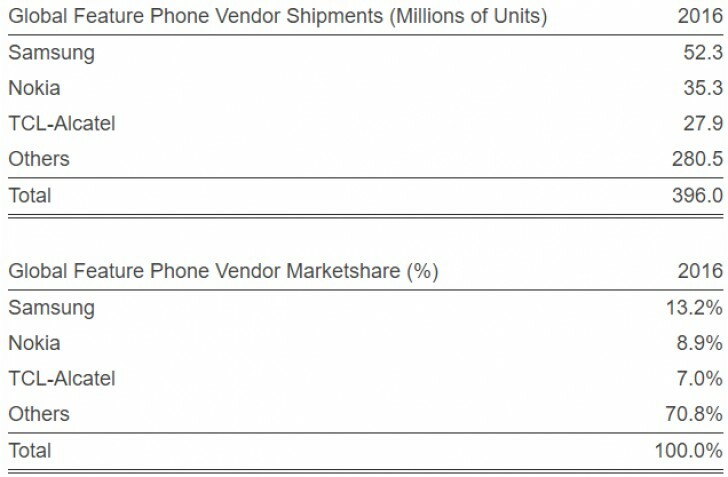 Nokia's 35 million sales account for 8.9% of all feature phones sold worldwide, putting the brand on the runner-up spot. Samsung takes the lead with over 52 million feature phones and 13.2% market share, while TCL-Alcatel is third with 28 million units and 7% share. HMD is currently working on the reboot of the iconic, scratch that, legendary Nokia 3310. All eyes are on HMD for this phone and if it does right by the name, it may as well succeed in overtaking Samsung for the first spot this year. Nokia is going to announce the 3310, among other phones, tomorrow at the MWC 2017 in Barcelona, and we'll be there to cover the event for you.